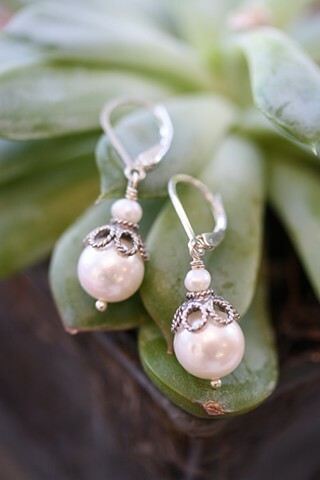 Fresh water pearl rounds with filigree style silver accents. Sterling lever back ear wires. Approx. 1 1/4"